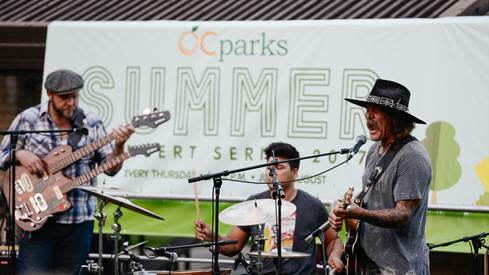 With summer officially kicking off next week, OC Parks is bringing back its free OC Parks Summer Concert Series June 21 – August 23. On Thursdays from 5:00 – 8:00 p.m., jazz fans, rock fanatics, acoustic aficionados, and more can enjoy a sunset show at a variety of parks across Orange County. Catch the acts at Craig Regional Park, Mason Regional Park, Irvine Regional Park, Mile Square Regional Park, and Bluff Park at Salt Creek Beach. Each outdoor venue is outfitted with an array of food trucks and a beer and wine garden for those 21 and older. The concert series kicks off with Donavon Frankenreiter on June 21, followed by popular local and national artists including Big Bad Voodoo Daddy, Stone Soul, Flashback Heart Attack, Hollywood U2 and Topcat, The English Beat, Sweet & Tender Hooligans, The Fenians, Matt Costa, Tijuana Dogs and Family Style, with more artists still to be announced. 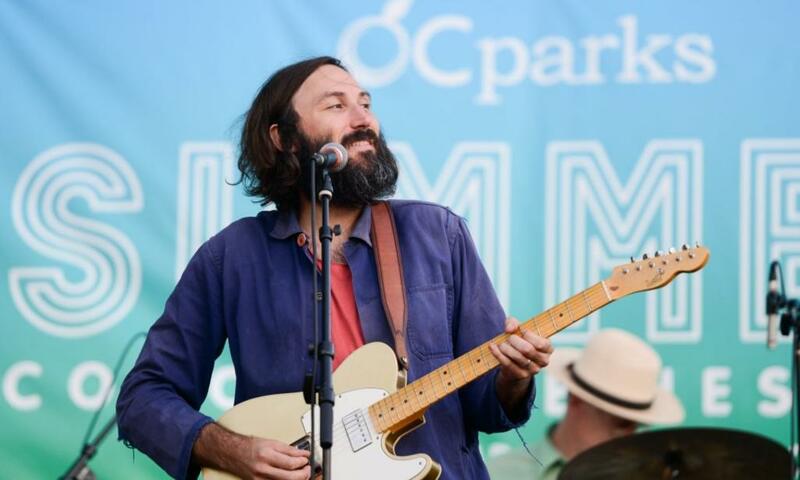 Nearly all acts originated in California, but popular singer-songwriter Matt Costa calls Orange County home. The Laguna Beach local made the pop music map with his breakout single, Sunshine, and recently released a new album this spring, Santa Rosa Fangs. Donovan Frankenreiter is another especially notable act in my book, popular for his songs Free and It Don&apos;t Matter. He has collaborated with several music mavens over the years including Jack Johnson, G. Love & Special Sauce, and others. Frankenreiter&apos;s feel-good lyrics and dreamlike vocals will definitely set the tone for summer at the 2018 OC Parks Summer Concert Series. For additional information on the concert series, check out www.ocparks.com and see video of last year&apos;s festivities here.